Real-time communication is critical in today’s fast-paced global business environment. 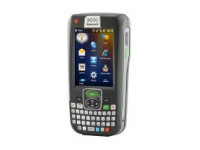 Mobile workers can perform a multitude of tasks on the Dolphin 9700, including business computing, e-mail, instant messaging, web browsing, voice calls, bar code scanning, picture taking, video recording, GPS tracking, and vehicle navigation. This consolidation of hardware simplifies workflow and significantly reduces expenses. High-speed wireless technology—3.5G GSM/HSDPA, 802.11 a/b/g, Bluetooth®, IrDA and GPS—connects companies to customers and workers, regardless of location. The Dolphin 9700 maximizes worker productivity and comfort by providing an optimized user interface and system performance. 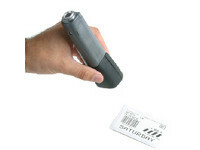 Its contoured industrial design is easy to handle and provides a secure grip. 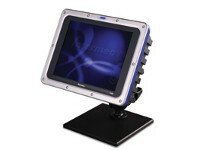 A large 3.7” high-resolution VGA display ensures easy data interaction in any environment. 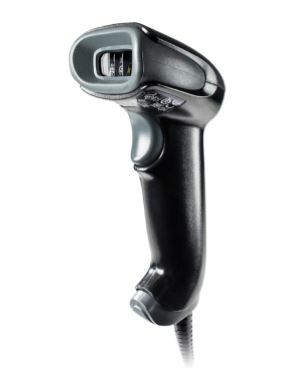 An angled imager with ergonomic scan keys enables rapid, fatigue-free scanning, while a full QWERTY keyboard with enhanced navigation keys facilitates intuitive data input. Honeywell’s Shift-PLUSTM power management system ensures continuous operation throughout an entire work shift, resulting in a lower total cost of ownership. Automated intelligent multi-media technology enhances device utility. Adaptus® Imaging Technology 5.5 is paired with a fully-programmable color camera which allows enterprises to easily incorporate data, image and video capture into new or existing business applications, creating additional value which improves the bottom line. 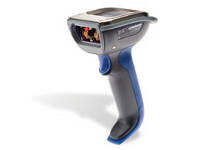 5300 Standard Range (SR), Smart Focus (SF), and High Density (HD) Imagers with High-Visibility laser aimer. All imagers equipped with Adaptus 5.5 Imaging Technology. Integrated autonomous GPS receiver with built-in Assisted-GPS (A-GPS) services and software utilities.